Skip the lines today and avoid the crowds. 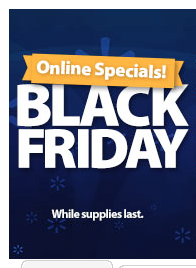 Shop Walmart’s Black Friday sale online! They’ve got lots of great deals from the Walmart Black Friday ad, but they’ve also got exclusive online specials! Here are some of my top picks: keep in mind that availability is limited on some items and they may no longer be available! Keurig Elite K40 Single Serve Coffee Brewing system plus bonus $20 gift card – $98 – it’s like you’re getting it for $78 and the gift card should arrive by e-mail as soon as you confirm your purchase! Gymboree’s Black Friday sale LIVE ONLINE! One of my FAVORITE sales of the year is LIVE NOW! Don’t miss out on Gymboree’s Black Friday sale! You can save 50% off everything online! This promotion is valid through 3 p.m. ET on Friday. Then, everything will be 40% off for the rest of the weekend! Score sleepwear for just $10! Kindle Fire HD only $79! WOW! 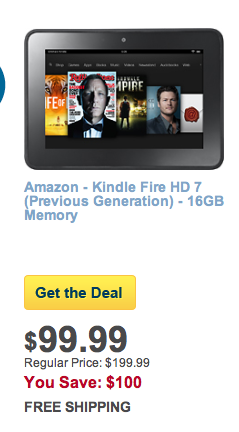 This is the BEST deal on a Kindle Fire HD that I have seen and I promise it won’t last long! Staples has the Kindle Fire HD 7″ with Special Offers for $79! If you’re a Rewards Member, you’ll get free shipping and 5% cash back, too! Best Buy Black Friday sale live ONLINE: Kindle Fire HD for $99 and more! The Best Buy Black Friday sale is FINALLY live online! One of the top deals is this Kindle Fire HD 16 GB for $99.99! It is IN STOCK right now! Black Friday Online Sales Start Times! Black Friday this year has evolved into Black Friday WEEK instead of one day! There are lots of stores that have started their sales online already! Here’s a huge round-up of what’s live already and when the rest of the stores start their deals! Amazon – Black Friday deals week has started! There are new items every 10 minutes! Bonton – Shop over 500 door busters! 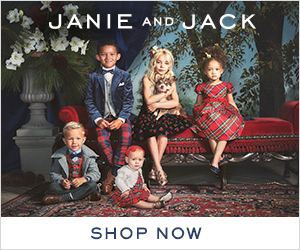 Joe’s New Balance Outlet` – Take an extra 15% off EVERYTHING plus get free shipping! Capital One 360 – 12 AM – get HUGE bonuses!